Jetbrains has an active incident report in YouTrack for this, but there's been no activity done on it yet, with the Kanban State set to "Not On Board", so it looks like it's going to be sometime before the issue is addressed. Firstly, rename flask.py back to flask.exe. 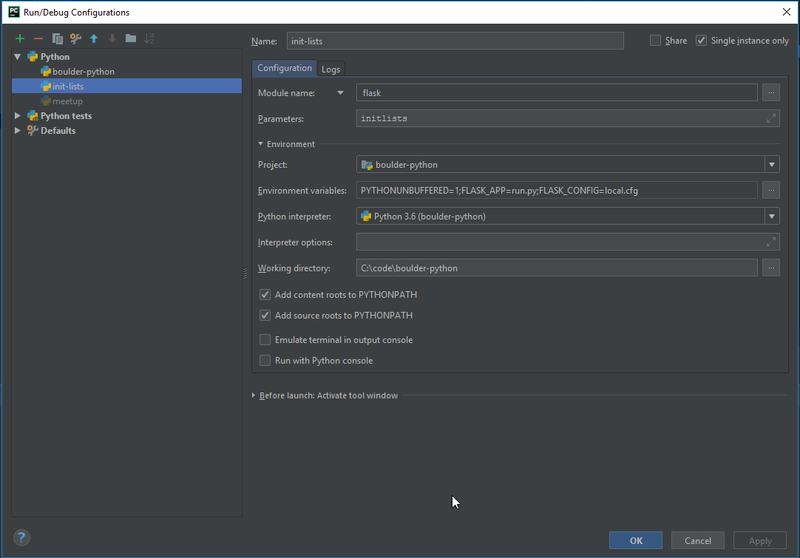 In PyCharm's Run Configuration dialog manually enter the full path to the Flask executable in the Script: text box. Don't use the browse button as it filters on Python scripts (.py files). See screenshot. In this instance there is a virtual environment called "href" and the flask executable is in the Scripts sub-directory. 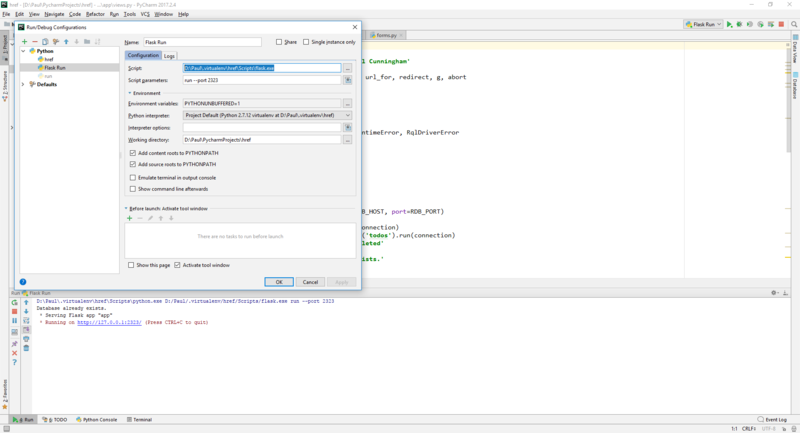 Then setup PyCharm to run this script passing any Flask CLI parameters as required. 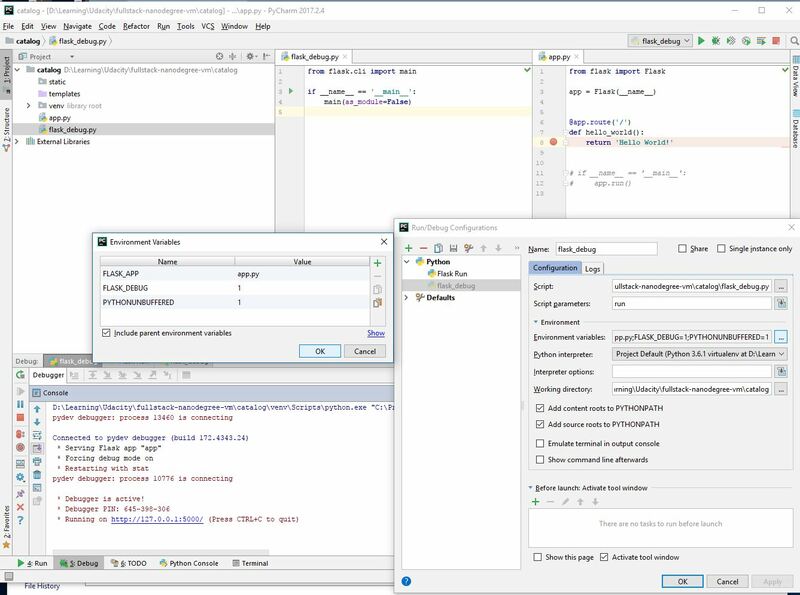 See screenshot below showing Run/Debug configuration and the debugger stopped at a breakpoint. 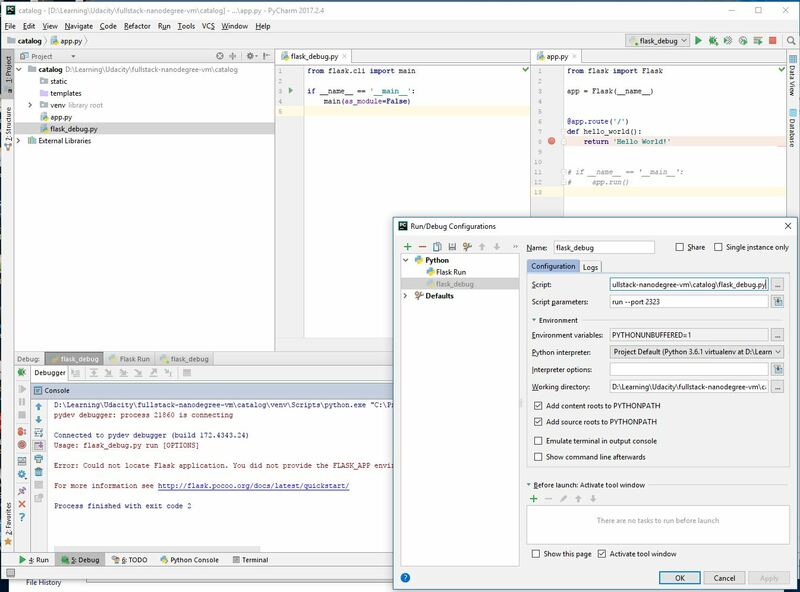 Below shows Flask 0.12.2 quickstart app running under the PyCharm debugger and showing the defined environmental variable FLASK_APP. 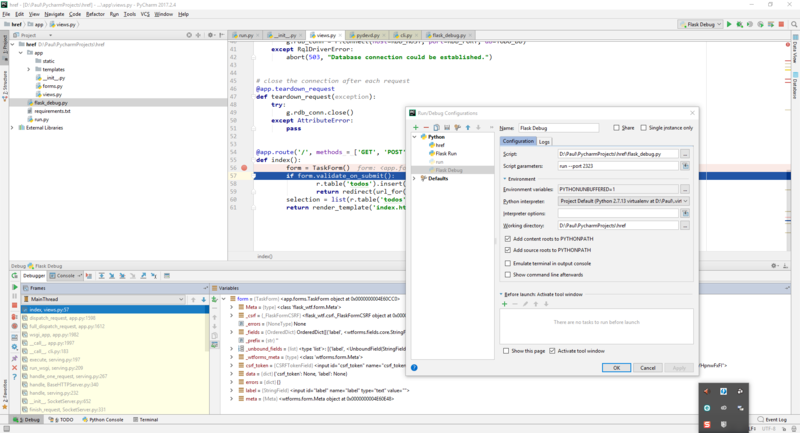 In the latest version of PyCharm, there's an option to run by Module name instead of by file. Using "flask" as the module name works as well and doesn't require you to create a flask_debug.py file. I'm attaching the screenshot of the working fileset and the Run/Debug Configuration for reference. This answer is thanks to the support provided by pjcunningham. Not the answer you're looking for? Browse other questions tagged python-3.x flask pycharm command-line-interface or ask your own question. 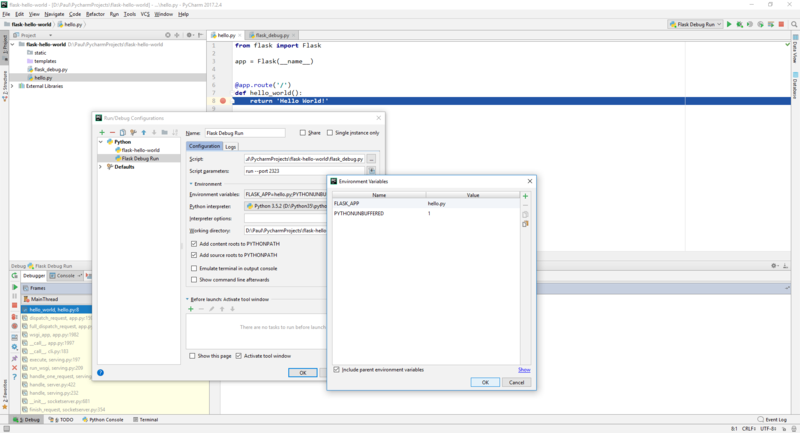 PyCharm Run — why does it sometimes display a traceback and error and sometimes not? How can I debug my flask app when it wont run?